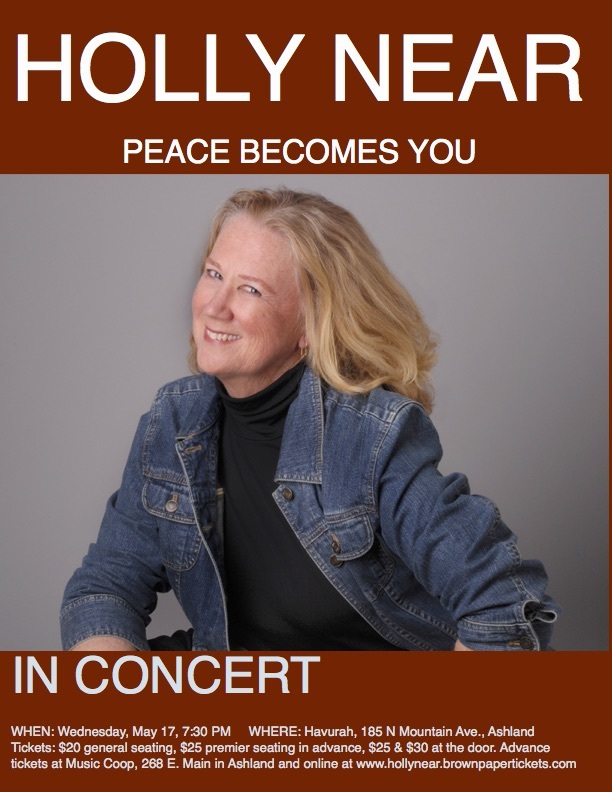 As Holly Near celebrates her first album in three years, Peace Becomes You, she’s building on 40 creative years and 30 recordings. Respected around the world for her music and activism, her joy and passion inspire people to join in her celebration of the human spirit. Equally compelling at her shows or through your speakers, her music fully engages listeners in the world around them. Holly has made a career speaking to anyone in the world who believes in peace, justice, and feminism, a wonderful spectrum of humanity. Born in Ukiah, CA in 1949, Holly began singing in high school, including work with a local folk group. She built on her performing career with acting parts on Mod Squad and appeared in a number of guest roles in seminal 70s TV shows like Room 222 and The Partridge Family. In 1970, she was a cast member of the Broadway musical Hair. Following the Kent State shootings in May of that year, the entire cast staged a silent vigil in protest. The song, “It Could Have Been Me” (which was released on A Live Album, 1974), was her heartfelt response to the shootings. In 1971, she joined the Free The Army Tour, an anti-Vietnam War road show of music, comedy, and plays organized by antiwar activist Fred Gardner and actors Jane Fonda and Donald Sutherland. In 1972, Holly was one of the first women to create an independent record company, paving the way for women like Ani DiFranco and others. Her goal was to promote and produce music by politically conscious artists from around the world, a mission that Redwood Records fulfilled for nearly 20 years. Often cited as one of the founders of the Women’s Music movement, she not only led the way for outspoken women in the music world, but also worked for peace and multicultural consciousness. Throughout her long career Holly has worked with a wide array of musicians, including Pete Seeger, Ronnie Gilbert, Arlo Guthrie, Mercedes Sosa, Bernice Johnson Reagon, Bonnie Raitt, Jackson Browne, Joan Baez, Phil Ochs, Harry Belafonte, and many others. Holly Near has been recognized many times for her work for social change, including honors from the ACLU, the National Lawyers Guild, the National Organization for Women, and the National Academy of Recording Arts and Sciences; she was named Ms. Magazine Woman of the Year and received the Legends of Women’s Music Award. During her travels in the Pacific with the Free the Army show, Holly became a globally conscious feminist, linking international feminism and anti-war activism. She was an active participant and coalition builder in what she calls the “heady days” of 70s activism, when so many movements were gestating and jostling with one another. Holly is also a teacher, presenting master classes in performance craft and songwriting to diverse audiences. Building on this role, her historic papers are housed at Radcliffe’s Schlesinger Library and are regarded as an informed look at the last 40 years of social change movements. Holly finds herself in a role that her amazing journey has uniquely prepared her to fill as the significance of her work over time has crystalized her iconic status. At once flattered, amazed, and centered, she graciously assumes this honoring that comes with time, proud to represent – through her voice and her music – the movements that are so fundamental to her spirit. Advance tickets available online at www.hollynear.brownpapertickets.com or at the Music Coop in Ashland, 286 E. Main St. General Seating, $20, Premium Seating, $25. Door: General Seating, $25, Premium Seating, $30. 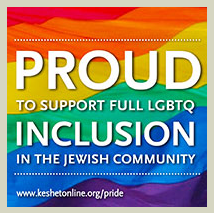 Call 541-488-7716 for more info.